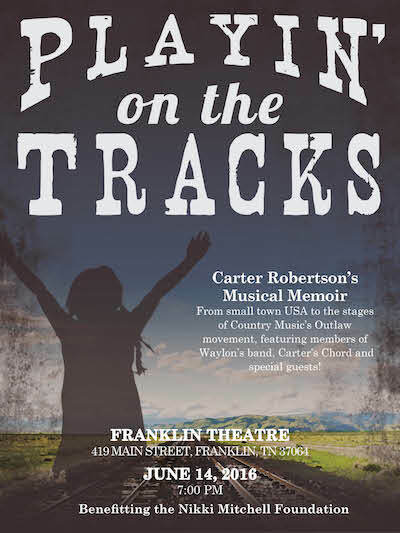 As the only female member of Waylon Jennings’ band, Carter gives us a backstage pass into her, at times irreverent, but always inspiring world, where music rules, humor softens real life tragedies, and perceived failures result in redemption. It’s music and storytelling at its best. One of the few female artists to emerge from the "Outlaw Country" movement of the mid-1970s, Jessi Colter recorded her first studio LP, "A Country Star is Born," with future husband Waylon Jennings in 1970. Five years later, Colter signed with Capitol Records and released her first solo single, “I'm Not Lisa,” which topped both the country and pop charts. In 1976 she was featured on the seminal, RIAA-certified platinum collaboration album "Wanted: The Outlaws." Since then, she has continued touring, recording and releasing duets and singles and even a children's album. $500 Cabaret Admission inlcudes two bottles of wine, playbill listing, and a post-show meet and greet. Contact events@nikkimitchellfoundation.org for balcony tickets.